Mohammad Amin Dadabhoy is one of the pioneer industrialists of our country and belongs to a noble business family of Pakistan. Mohammad Amin Dadabhoy was born in Karachi on 2nd April 1971. He has vast experience and qualifications in the field of Management, Economics and Business Administration. He got his B.Com from University of Karachi and BBA from South Eastern University (Greenwich Institute, Washington DC). The history of Dadabhoy Group begins in 1895. Mr. Ali Muhammad A. Latif, great grand father of Senator Mohammad Amin Dadabhoy, established a trading house later turned it into a department store, in the beautiful country of South Africa. Mr. Ali Muhammad A. Latif, departed at the young age of 35. Later Mr. A. Ghani Dadabhoy, grand father of Mr. Mohammad Amin Dadabhoy, posthumous son of Mr. Ali Muhammad A.Latif established initially a trading house and later a soap factory, at Portbandar on the western coast of pre-partitioned India. At the time of partition, the family migrated to Pakistan and at the call of Quaid-e-Azam, it came forward to play its role in the new infant country. Immediately after settling in Karachi, he (Mr. A. Ghani Dadabhoy) set up a trading house encompassing a wide range of businesses. The Chairman Muhammad Hussain Dadabhoy of M H Dadabhoy Group of Cos., worked hard with his father. Mr. Mohammad Hussain Dadabhoy, a civil engineer by education, has established many industries with his other family members, under the name of Dadabhoy Group. The Dadabhoy group that enhanced itself in diversified different industrial sectors of Pakistan, decided through its Board of Directors to distribute specific areas of activities to different family members. This decision culminated into the forming of versatile and all encompassing M.H.Dadabhoy group since 90s. 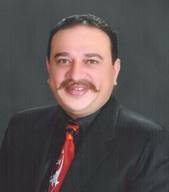 Mr. Mohammad Hussain Dadabhoy is the chairman of M.H.Dadabhoy Group. Presently he (Mr. Mohammad Amin Dadabhoy) is holding the office of Chief Executive / Managing Director of M.H. Dadabhoy Group of Companies and doing the job independently for the last 15 years. During this tenure he successfully negotiated with a cross section of interests and has been leading the company in a very praise-worthy manner and to the entire satisfaction of the stakeholders. Besides this, he also holds membership of many national/international forums like vice Chairman All Pakistan Cement Manufacturers Association of Pakistan, member ABAD, member FPCCI, member Karachi Chambers of Commerce and Industries, member Pakistan Japan business Forum, member DFA Club, member Gymkhana Club, member Sunset Club, member Defence Authority Marina Club, member Defence Authority Creek Club, member Islamabad Club, Member Management Association of Pakistan, member IAPA, Hongkong and member Pakistan Myanmar Friendship also. He has traveled widely across the world in connection with his business and sightseeing. Due to his sheer hard work he is very familiar in business communities as well as for his social welfare work. His vision on Pakistan socio-political situation make him a valuable asset of Senate and Government of Pakistan. Presently he is also member of the upper house of the Parliament.